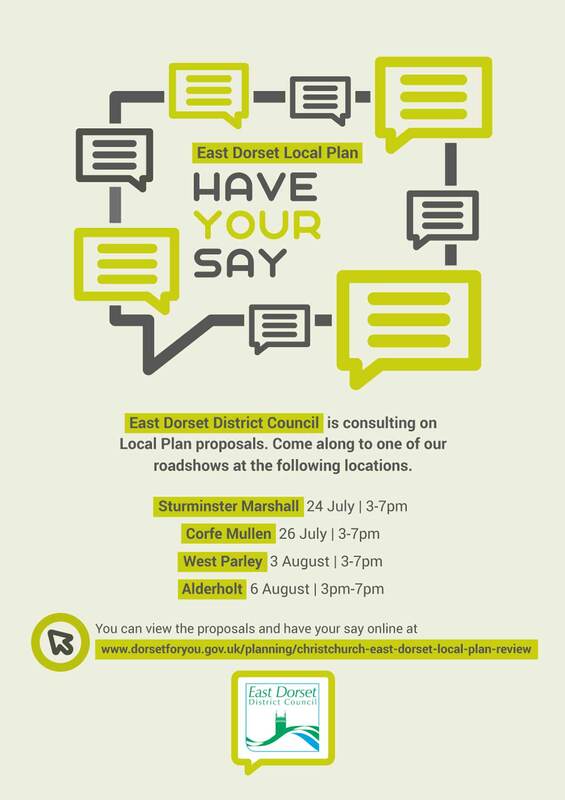 This new local plan for East Dorset will set the overall strategy for development across the district to 2033 and this consultation will give residents the opportunity to give their views. The East Dorset local plan review aims to deliver around 8,550 new homes and 46 hectares of new employment land, which will deliver thousands of new jobs and associated key transport infrastructure to the district. 2,396 new homes provided at existing allocated new neighbourhoods in Corfe Mullen, Wimborne/Colehill, Ferndown/West Parley and Verwood. 50 dwellings in Wimborne St Giles, Edmondsham and Hinton Martell. Cllr Robin Cook, portfolio holder for planning, East Dorset District Council, said, “This consultation is essential for the future planning of East Dorset. It is important that we encourage residents to have their say, so that they can help shape the future of our area. Following this consultation, which closes on 3 September 2018, a further consultation is planned for February 2019. The plan is due to be submitted to the Secretary of State in June 2019 and adoption is anticipated in February 2020. You can view the full proposals and have your say online. Visit www.dorsetforyou.gov.uk/planning/christchurch-east-dorset-local-plan-review for more information.